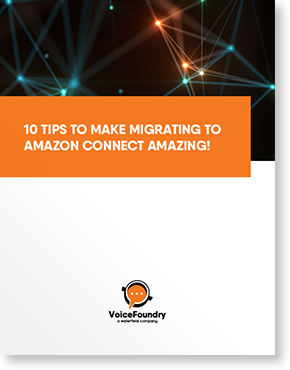 VoiceFoundry delivers an advanced CTI integration between Amazon Connect and ServiceNow, offering Contact Centre agents the ability to easily look up customer profile information and deliver a more efficient interaction. 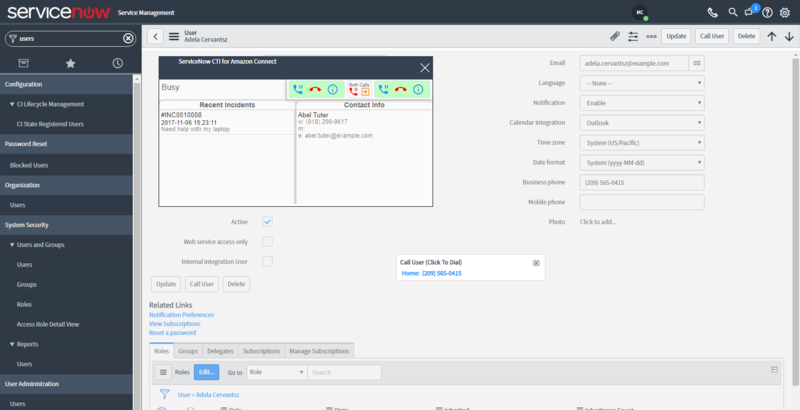 The ServiceNow CTI Connector includes an advanced call control panel that integrates with ServiceNow’s OpenFrame API, providing a deeper association with Amazon Connect in order to deliver a frictionless customer experience. 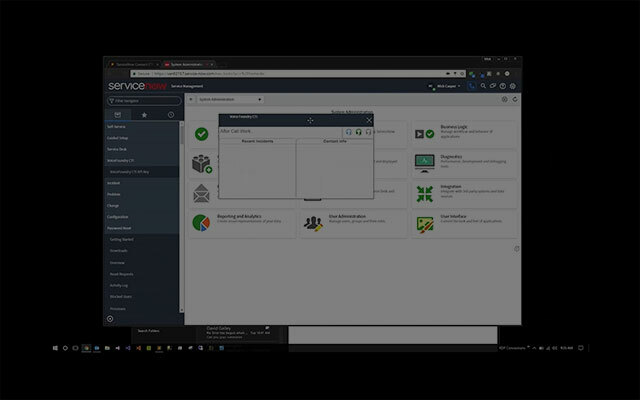 Check out the ServiceNow CTI Connector in action! The powerful integration includes click-to-dial and screen-pop functionality enabling agents to easily access customer information and deliver a more efficient interaction. The ServiceNow CTI Connector, delivered by VoiceFoundry for Amazon Connect integration, is an exciting application that delivers deep integration. It improves the customer support experience and works towards making day-to-day work activities more productive and simpler. Provides Call Control and Management using the native ServiceNow interface, such as placing a call on hold and then resuming the call. 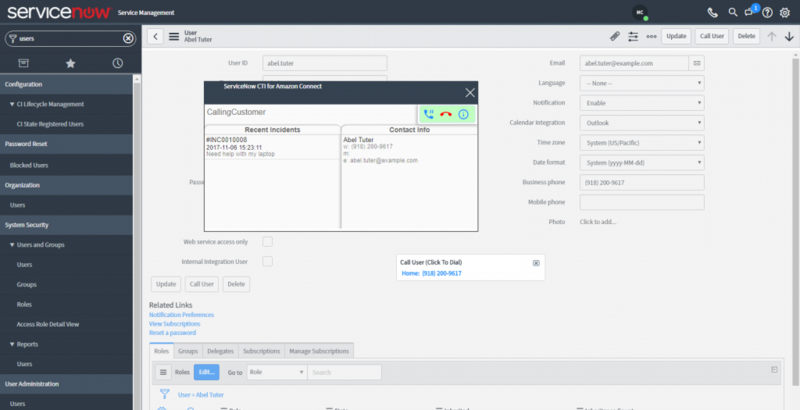 Enables Click-to-Call functionality to quickly contact customers from the ServiceNow interface. Agents can easily click any highlighted number and the phone will dial the number without the need to enter any digits. Collects and delivers call details and customer information from an AWS Connect to a ServiceNow empowered agent, reducing overall agent handle time. Delivers automated Screen-Pop functionality that dips into the ServiceNow database, providing relevant customer information to the agent to assist in call resolution. Agents can greet the customer more knowledgably and assist with their support inquiry.